The entry sign at Downybrook. 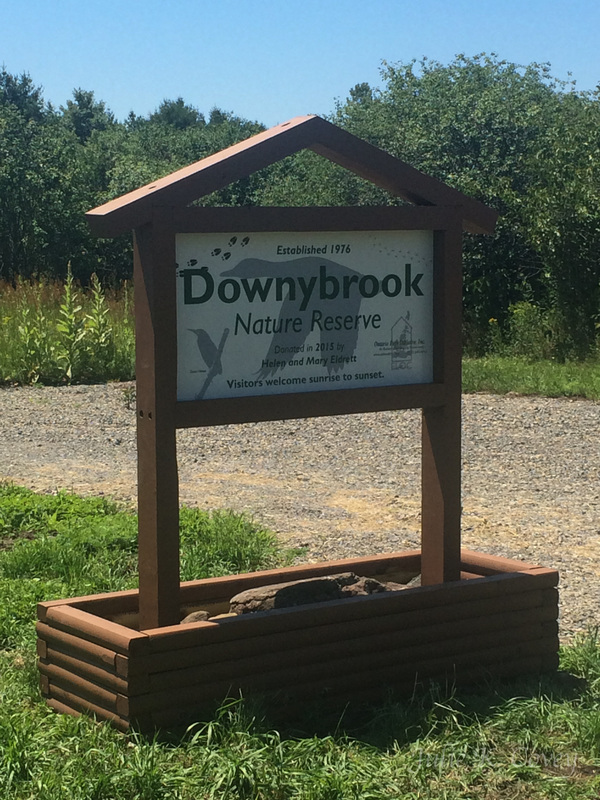 Downybrook is a scenic, nationally-recognized wildlife sanctuary in the town of Brownville, with walking trails, natural wetlands, ponds and woods. 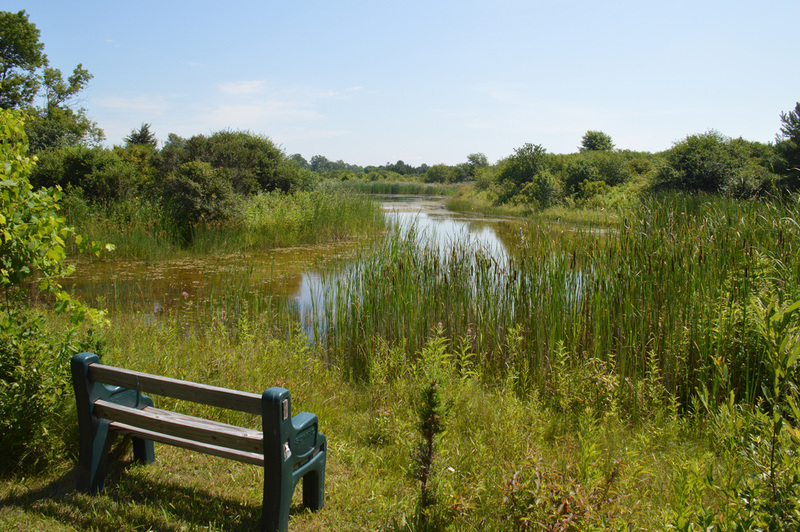 A visit to Downybrook offers 3.5 miles of scenic nature trails through what is a “safety zone” for wildlife, including a thriving beaver habitat and an abundance of other native plants, animals, fish and reptiles. Several ponds with boardwalks and strategically placed benches offer some of the best views of waterfowl and marsh birds. Downybrook is popular stops for birdwatchers so don’t forget your binoculars! Interpretive panels on the west side trails enhance the learning experience at Downybrook, which was originally owned by twin sisters Helen and Mary Eldrett, both longtime elementary school teachers. The Eldrett sisters bought the property off of Perch Lake Road in 1971 and spent countless hours digging ponds, building footbridges, planting trees and creating trails. It is a truly inspiring story of how two sisters brought their love of nature to life for all to share. OBI Land Trust acquired a conservation easement on the 184-acre property in 2011, and was entrusted with the ownership and care of the property in 2015. OBI is working to enhance the experience for visitors in 2019 as part “Discover Downybrook” a campaign to highlight this premier public property. This will include various improvements that will build upon the reserve’s impressive history. We will continue what the Eldrett sisters started with this unique place, to have it preserved and enjoyed for generations to come. Downybrook is recognized as a Backyard Wildlife Habitat by the National Wildlife Federation, in addition to being designated as an official Wildlife Refuge by the National Campers and Hikers Association. 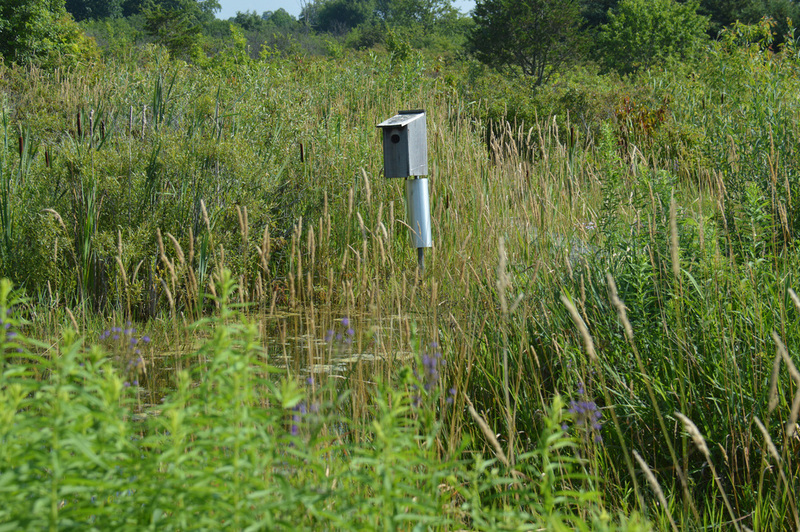 The bluebird boxes are part of the Nest Box Network of the New York State Bluebird Society. Park in the lot provided. Please keep dogs leashed and respect other guests. No motorized vehicles permitted. To visit Downybrook go to Brownville, NY. When in the village and on New York State Route 12E, turn onto Washington Street at the light by the Legion. Continue until just after exiting the village. At that point, turn left onto Perch Lake Road. Go about .7 mile to the Downybrook parking lot on the left (24353 Perch Lake Road). Look for the large sign which is seen above. Have a good walk! Some pictures from Downybrook on a beautiful late summer/early fall day! Many thanks to Boy Scout Troop 586 for their help with trail maintenance at Downybrook in the fall of 2016! The brush cutting was completed in the fall of 2016 at Downybrook! Many thanks to the Partners for Fish and Wildlife Program for doing this work!! If you get the chance, stop by the Downybrook Reserve and take a look.